I'm working on a system where a user can manage content for a group he is a part of. The image below shows the structure of the menu. The top menu is the user menu. The second menu is the group menu. This is where the user can select his active group. The final menu is a content menu. 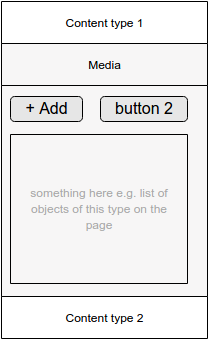 Here the user can select a category of content to manage for his group (media, pages, posts, etc). Imagine a user selecting a menu item from the content menu. There will most likely be an 'add'-button to the top right. For example; when a user clicks on 'media' he can select 'add media' from the top right. Where should this button be compared to the content menu? See the images below. Both options have pros and cons for me. The second option might be the one to go for, but it will create a fourth menu to have your buttons for the content in. The first option puts the button further away from the content. It might not be logical to have a button in the group menu that changes based on the selection of an item from another menu. I was wondering what you would do. Thanks! Since the user would be adding a Content, it would work best to add the button closer to where the action takes place. For this reason, your second option is preferable "In the right of the content area, because you add content." When you think about it, you're already applying the same logic looking at how you've nested the different menus sub-layers. It works great despite the amount of content you could potentially show. Good continuation on your project. I think the solution should depend on whether selection of the menu option acts as filter (or tabs) or not. If menu acts as a filter or tab, e.g. user sees the list on media, when "media" option is selected and nothing else, then I would go with second option but with left aligned actions. Moving important actions to opposite side of the screen is not helpful for users. If option selection does not change the content area, then consider using accordion control to house content types specific actions if you think that there will be more then one action or controls for each content type. 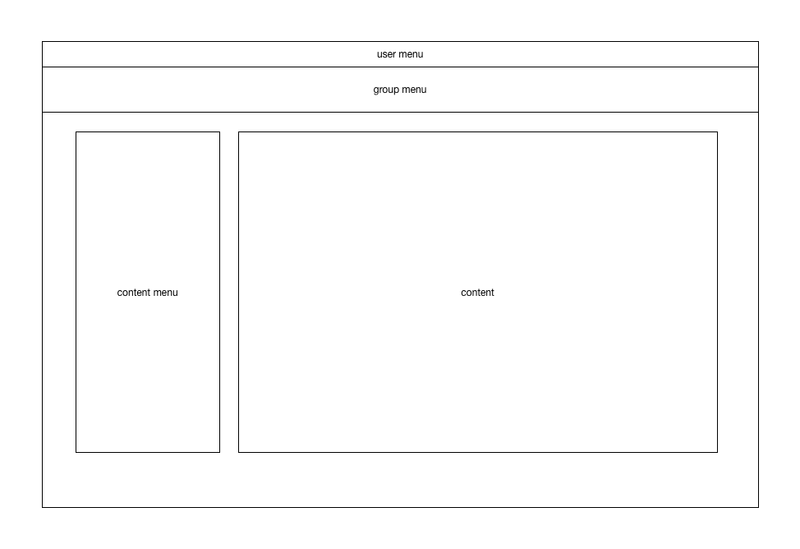 Proximity of content menu options and related actions is good for your users. Otherwise, if user can do with content is to add new object into content, then content menu options itself should add new object, or get rid of the context menu add "New" drop-down list to group menu. Not the answer you're looking for? Browse other questions tagged navigation buttons menu flow or ask your own question. Passive tabs on a drop down navigation menu?